The countries where Modernism came late, due to their repressive regimes and lack of independence, experienced the movement differently. 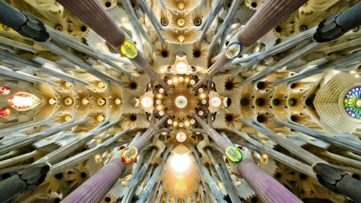 It was another kind of Modernism, the one that started reassessing its own postulates and questioning the issues it had previously been certain about. This may be an open secret, but from today’s perspective we can see how true it is, and how the trend easily transformed into post-modernism later. One of the many positive sides to the tiny amount of pliability in late Modernism was the opportunity for these societies to reclaim their identity by using architecture, by softening its rigid geometry and exclusive nature, but at the same time appreciating the possibilities that this iconic style offers. The ‘60s were the time of prosperity almost everywhere, but one of the lesser-known facts among the Western societies is that it was a crucial point of departure for sub-Saharan African countries. It was a chance for them to finally say goodbye to their colonial past, and architecture reflected this intent. Rinaldo Olivieri, La Pyramide, 1973, Abidjan (Côte d’Ivoire). Photo © Iwan Baan. Modernist legacy is one of the most ambiguous ones, especially when it comes to architecture. Architecture is a living thing; its utility and notion, and even its appearance, are destined to change over time. What some perceived as cold and with a lack of meaning, others (societies like mid-African, ex-Soviet, Yugoslavian) welcomed with great pleasure and hope. The universal style was just what they needed – something blank, something new, something clean to start again with. But then again, in the hands of their architects, Modernism stopped being universal. Partly because of the gradual change of streams in the world, and nobody needed the blank space anymore, and partly because local modern architecture had to adopt some of the traits of its inhabitants and surrounding. Subliminally or intentionally, it was the whole point of the movement. And it served its purpose well. Today, we can witness and enjoy the consequences of this brilliant interaction: to live in buildings that kept most of the great qualities of Modernist functionality, and to look at buildings that couldn’t escape the aesthetics of the countries they were built in. Public Works Departments, Independence Arch, 1961, Accra (Ghana). Photo © Manuel Herz. 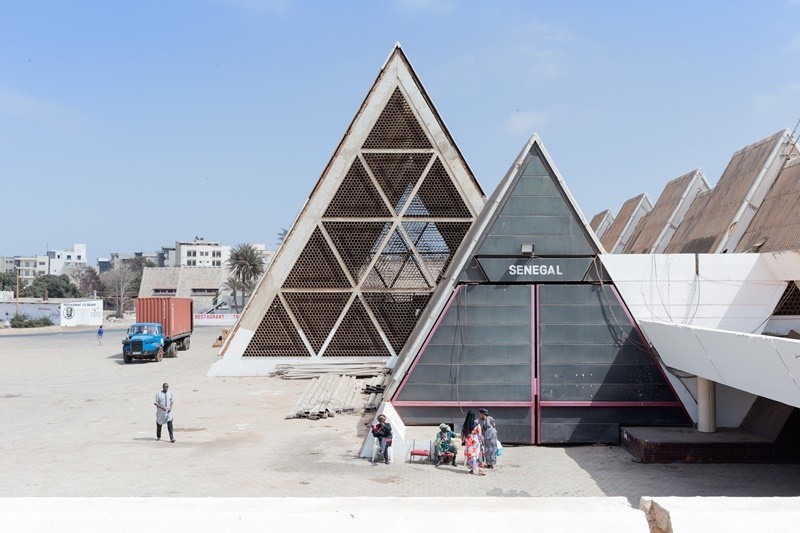 This upcoming exhibition examines and delivers the complex history and legacy of architecture in sub-Saharan Africa during the 60s and the 70s. 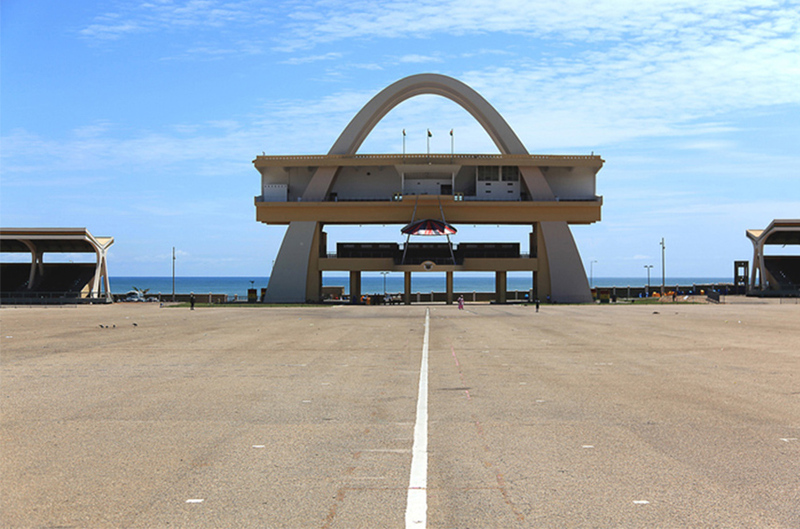 It provides a new perspective on the correspondence between Modernist architecture and nation-building in these countries (Ghana, Senegal, Cote d Ivore, Kenya, Zambia). Two prominent architectural photographers, Iwan Baan and Alexia Webster, made a collection of photographs, taking pictures of nearly 80 buildings from this period and area. The exhibition is also accompanied by some archival material, and it is based on the book project African Modernism: Architecture of Independence. The book is signed by the architect Manuel Herz, in collaboration with Vitra Design Museum in Weil am Rhein, Germany. 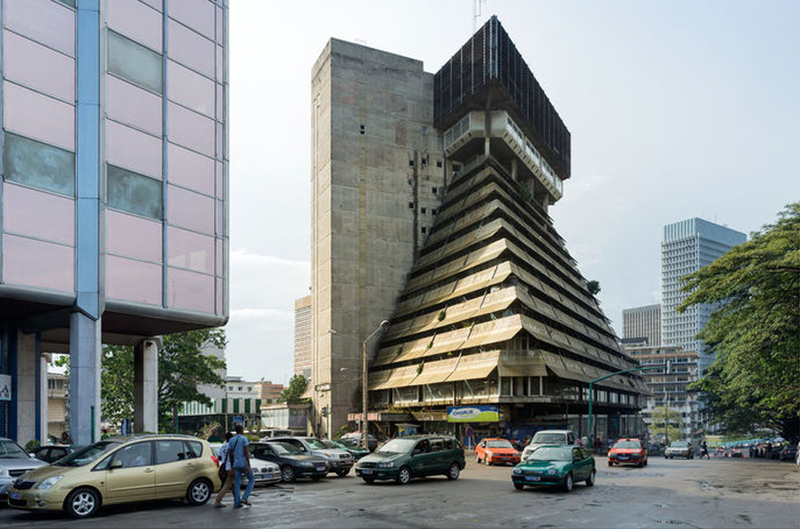 Heinz Fenchel and Thomas Leiterdorf, Hotel Ivoire, 1962–70, Abidjan (Côte d’Ivoire). Photo © Iwan Baan. The aforementioned book was published in 2015, and it features over 100 buildings with descriptive texts, photographs, site plans, floor plans and sections, as well as a timeline that illustrates the political, demographic, and economic developments of each country. 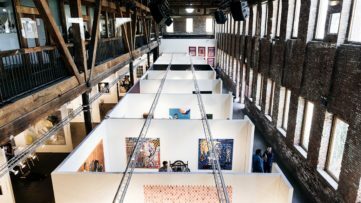 A number of additional events is also related to the exhibition, and they include separate talks by the historians Nnamdi Elleh and Ola Uduku, and by the architect Lesley Lokko, and a screening of the film “Afronauts” (2014). 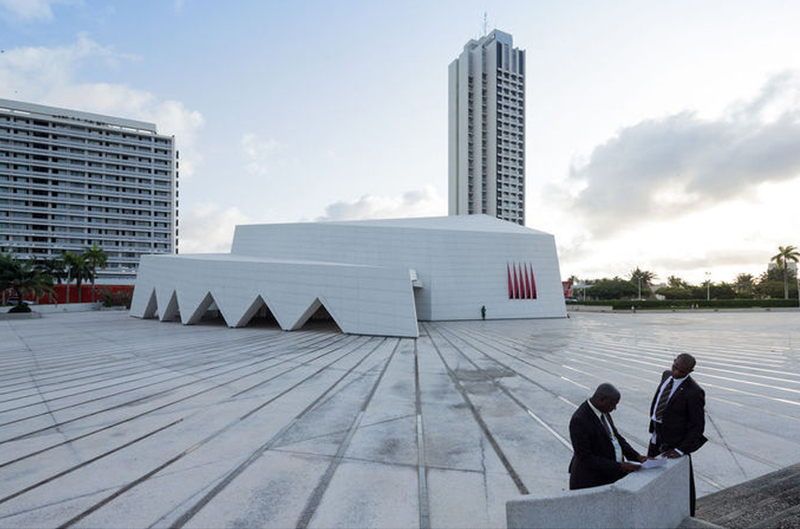 The exhibition Architecture of Independence: African Modernism is supported by the Graham Foundation, and it opens on January 29th 2016, at Madlener House in Chicago. 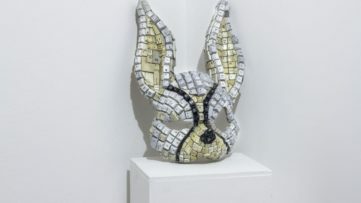 It will be on view until April 9th. Featured Image: Jean Francois Lamoureux and Jean-Louis Marin FIDAK Foire Internationale de Dakar 1974, Dakar Senegal Photo © Iwan Baan.